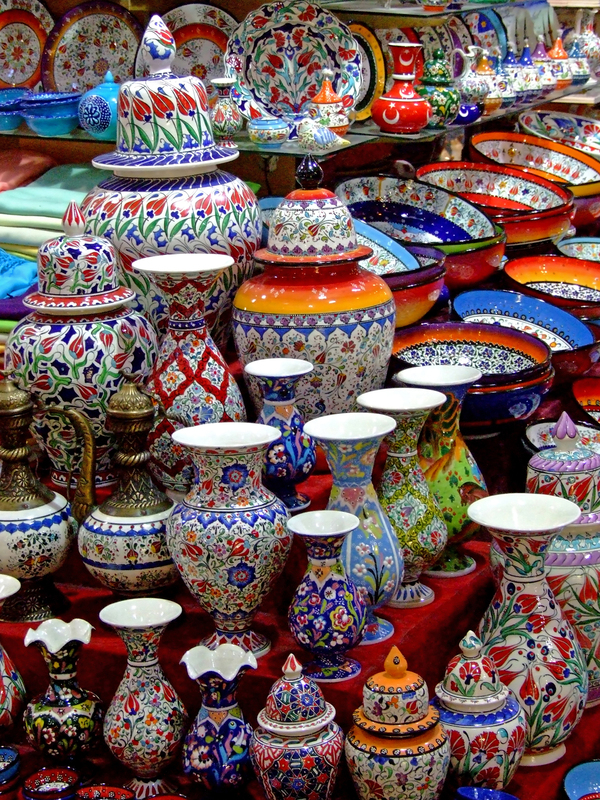 Charter Turkey and Shop the Bazaars! 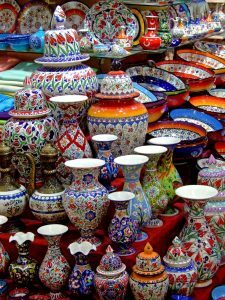 A “must do” experience in Turkey is visiting the bazaars that are part of any reasonable sized Turkish town, with the mother lode, of course in Istanbul. A bazaar visit is an experience in its own right, and time should be set aside, not just to shop, but to “negotiate”, as any good bazaar shop keeper expects a negotiation on the price and is ready to play the game. Particularly with rug shopping, where you can usually get a much better price on a handmade rug than at home, and the quality of the rugs are usually higher than what we see back at home. 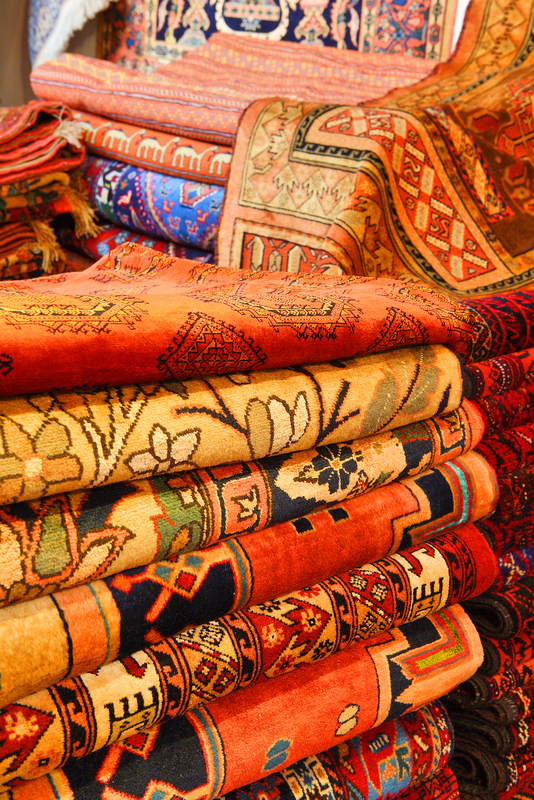 In addition, a good rug merchant will tell you how the rug is woven, and where. And will also tell you the story behind the rug, who the weaver was and what story the rug is telling through the pattern. All of this can make the rug a much more personal purchase and you can take home a piece of artistry with a story. 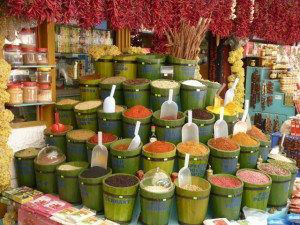 When you are shopping, casually enter a particular store and start to look at the wares. If asked what you are looking for, do be sure to answer, as there is always something more in the back. And only ask the price after careful consideration, but never accept the first price. Feel free to even leave, as usually another price is given as you walk out the door. If you want to reduce the price further, say that you must think and will return later to talk again. Generally purchasing on the first visit will not get you the lowest price. There is a dance that should take place where you think, consider, and think some more for each price given.If you are rug shopping, prepare to settle in, as the merchant will offer you something to drink, and then the rugs will start to appear. Each rug merchant has a series of young strong Turkish boys who haul the rugs into the room and then with a flourish reveal the rug in its entirety. Switching the rug to be looked at from either side, as the colors do change, is also a flourish. The rug merchant will tell you the weaving information and story on each rug. Again, be prepared to negotiate. And do not worry, the rug merchant can ship any rug home to you, and will take most currencies, including Turkish Lire, Euros, and USD, and of course, credit cards.